¡¡Eh! 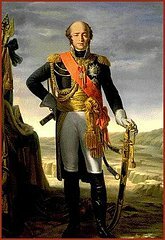 !, estáis poniendo portadas de mujeres ligeritas de ropa; me voy a chivar al moderator maximus Farsalia. 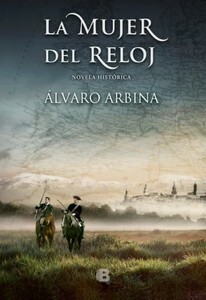 - La barbarie de la virtud, de Luis Gonzalo Díez (2014). 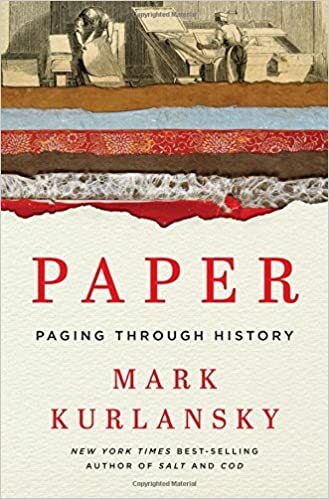 Paper: Paging Through History de Mark Murlansky. Paper is one of the simplest and most essential pieces of human technology. For the past two millennia, the ability to produce it in ever more efficient ways has supported the proliferation of literacy, media, religion, education, commerce, and art; it has formed the foundation of civilizations, promoting revolutions and restoring stability. One has only to look at history’s greatest press run, which produced 6.5 billion copies of Máo zhuxí yulu, Quotations from Chairman Mao Tse-tung (Zedong)―which doesn’t include editions in 37 foreign languages and in braille―to appreciate the range and influence of a single publication, in paper. Or take the fact that one of history’s most revered artists, Leonardo da Vinci, left behind only 15 paintings but 4,000 works on paper. And though the colonies were at the time calling for a boycott of all British goods, the one exception they made speaks to the essentiality of the material; they penned the Declaration of Independence on British paper. La reconstrucción de la flota española despues del desastre de 1898, según el patrón del regeneracionismo de Maura: Los acorazados dreadnought de la serie España: El "España", el "Alfonso XIII", y el "Jaime I"
Concepción, especificaciones exhaustivas, historial militar. Ya sabía yo que os iba a llamar la atención. Por cinco pavos, aprovechando una oferta. Excelente colección naval la de Real del Catorce. 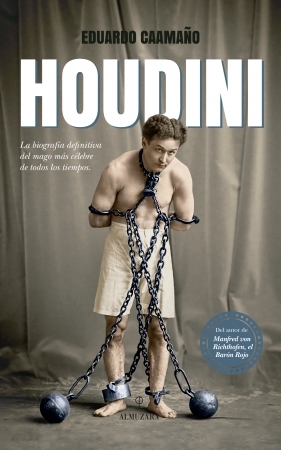 Eduardo Caamaño: Houdini (Almuzara, 2016). Caro lo es un rato, pero no podía dejarlo pasar. Estoy deseando ponerme con él. Ya contarás, me picó mucho la curiosidad cuando lo vi hace unas semanas.